Where are the most germs in your house? Refrigerator? Toilet? Not Sure? Take our What are the dirtiest areas of your house quiz to learn the answer! Posted in Nutrition on April 3, 2011 by FloridaHealth.com staff. Last modified on December 02, 2018. Read disclaimer. If you don't include avocados as a regular part of your diet, consider this: avocados are one of the most nutrient-dense commonly-eaten fruits, containing dietary fiber, Vitamin B-6, Vitamin C, Vitamin E, Vitamin K, zinc, iron, magnesium and folate. Avocados are also rich in potassium (60% more potassium per ounce than bananas! ), which can help protect against and control high blood pressure. Low potassium levels can lead to irregular heartbeat, and in some instances, even heart attack. Avocados contain monounsaturated fats ("good" fats),which have been shown to reduce cholesterol as part of a low-cholesterol diet. You'll also find cholesterol-lowering beta-sitosterol in avocados. In one study, those who ate avocados every day for a week had an average 17% drop in total cholesterol. Their HDL "good" cholesterol went up, while their LDL "bad" cholesterol and triglycerides went down. This nutrient-rich fruit also contains lutein and zeaxanthin,which help protect against macular degeneration and cataracts. 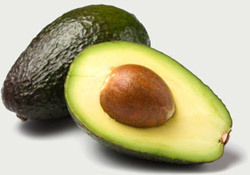 In fact, avocados have more lutein than any other commonly eaten fruit fruit. 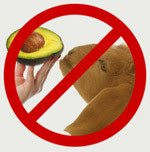 As healthy as avocados are for humans, they should not be shared with animals. Though a small amount is generally not problematic for dogs and cats, avocado fruit, seed, shell and leaves can be highly toxic to horses, cattle, goats, birds and rabbits. With all this nutrient goodness, why not start eating avocados today? Look for firm avocados if you're planning on using them later in the week. Otherwise, select fruit that yields to gentle pressure for immediate use. To speed the ripening process, place the avocado in a paper bag, and store at room temperature until ready to eat (usually two to five days). Placing an apple or banana in the bag with the avocado speeds up the process even more. Cut the avocado in half, slightly twit the two halves, separate, and remove the seed. Starting at the small end, remove the skin with a knife or you can scoop the flesh out with a spoon. To retain fresh green color, avocados should either be eaten immediately or should be sprinkled with lemon or lime juice or white vinegar. Need to use a bunch of ripe avocados in a hurry, try making nutritious, refreshing avocado shakes! Stanford, California - Being "head-over-heels" in love appears to have painkilling effects, discovered researchers at Stanford University. In the study, 15 eager participants came prepared with a picture of their loved one. In one group, the pictures were flashed while volunteers held a thermal stimulator that was heated to cause pain. Participants in the other group were told to think of every sport that doesn't use a ball, a form of distraction, while scientists inflicted pain. Results showed that love and distraction both reduced pain, but that they activated different systems of the brain. Distraction activated systems involved with attention and distraction while love activated systems involved with reward and craving. "This tells us that you don't have to just rely on drugs for pain relief," said Arthur Aron, PhD, one of the study's authors. "People are feeling the intense rewards without the side effects of drugs." 1) Mosquitoes prefer people with Type O blood and tend to shun those with Type A. 2) Mosquitoes are attracted to carbon dioxide so they like 'heavy breathers.' And the larger you are, the more you probably exhale. 3) Mosquitoes are drawn to the smell of sweat. So, our activity level along with our genetics can play a role. 4) For some reason, wearing dark color clothes, such as black, dark blue or red, makes it easier for mosquitoes to spot you. 5) Drinking even a single beer somehow signals to mosquitoes that you're a sweeter than average target. To learn more about mosquito control, read our 5 D's of Mosquito Control Around Your Home and Yard. Pittsburgh, Pennsylvania - Walking at least six miles a week may protect brain size, which in turn preserves memory, researchers from the University of Pittsburgh reported in Neurology. "Brain size shrinks in late adulthood, which can cause memory problems. Our results should encourage well-designed trials of physical exercise in older adults as a promising approach for preventing dementia and Alzheimer's disease," said study author Kirk I. Erickson, Ph.D., with the University of Pittsburgh. For the study, 299 dementia-free people tracked how far they walked in a week. After nine years, their brains were scanned to measure size. Four years after that, they were tested for cognitive (mental) impairment and dementia. Scientists found that those who walked six to nine miles per week had greater gray matter volume and cut their risk of developing memory problems in half, compared to those who didn't walk as much. Chicago, Illinois - Inadequate sleep reduces the benefits of dieting, it was reported in the Annals of Internal Medicine. "If your goal is to lose fat, skipping sleep is like poking sticks in your bicycle wheels," said study director Plamen Penev, assistant professor of medicine at the University of Chicago. "Cutting back on sleep, a behavior that is ubiquitous in modern society, appears to compromise efforts to lose fat through dieting. In our study, it reduced fat loss by 55 percent." In addition to losing less fat, dieters with inadequate sleep (in this study, 5.5 hours or less) also experienced an increase in ghrelin, a hormone that stimulates the appetite. "Exercise" or "exercise more" shows up on New Year's Resolution lists across North America -- yet, this popular resolution seems to quickly fall by the wayside. How can you make exercise a habit so that missing it causes disappointment instead of relief? Make exercise a priority -- Don't be tempted to "fit in" exercise whenever you can; make it a part of each day's schedule. Plan to exercise at the same time each day so it becomes ingrained. If this isn't possible, schedule exercise in advance as you would a doctor's appointment. Let family and friends know when you're "booked." Enlist a friend -- Find someone to work out with; this increases your accountability -- and your level of fun. If you can't coordinate schedules, ask a friend to call you every day to check on your exercise status. Accountability is a great motivator! Prepare in advance -- If you exercise in the morning, set out your exercise clothes, shoes and socks the night before. Have your bike ready, your dumbbells out, your swim suit and towel handy, or whatever it is you need to prep. Make preparation part of your nighttime routine. It will be one less excuse to drag your feet! Take the fun up a notch -- If you dislike what you're doing, it's that much harder to stick to it. Spice up your exercise regimen by including a variety of activities. Don't like to exercise alone? Consider joining a team sports league. Measure your progress -- Keep a daily log of your activity. As you get better, stronger, faster and so on, you will be encouraged to continue. You might even find yourself taking fitness to an entirely new level. Pat yourself on the back -- Reward yourself for your accomplishments. As you reach short- and long-term goals, spur on your motivation by buying that book you've been wanting to read, or splurge for a massage. Don't just make exercise a resolution -- make it a habit! Not only will you feel a sense of accomplishment, but you can also reap the numerous health benefits activity has to offer. Remember to consult your healthcare provider before beginning any exercise program. During TV commercials, do jumping jacks, walk around the house, etc. 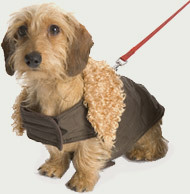 Better yet, shut off the television and take a walk around the block or pop in an exercise DVD. Yikes! We have backyard chickens that love to scratch through our kitchen scraps. If avocados are so toxic to birds, we've got to make certain those peels, pits and any left over guacamole go into the garbage rather than the compost pile. Thanks for the info. Another trick to keeping avocados from turning brown is to leave the seed in the same container, and this yields even better results if you can use half at a time and leave the seed in the other half. This works even if the avocado has been incorporated into a recipe. Very good point, Mary. From what I can figure, one reason this works is because the pit prevents air from coming in contact with a large portion of the unused half. Because this tip is mentioned so often, however, I wonder if there may also be a more interesting (chemical?) reaction going on. You don't necessarily need lemon or lime juice or vinegar to keep cut avocados from turning gray. Since it is exposure to air that causes this discoloration, you can just tightly wrap cut avocado in plastic wrap or place it in an air-free sandwich bag in the refrigerator. Good point. And still another suggestion for keeping guacamole or cut avocado halves from turning brown are by storing them in a container along with slices of onion. Another great thing about avocado is that they are one of the least sprayed fruits or vegetables. (They are on the "clean 15" list of the Environmental Working Group.) So, this is one of the few non-organic fruits I feel OK about buying at the grocery store. Thank you for pointing this out, Lori. I am a big fan of the EWG and their app for my smart phone. I find myself looking up the Clean 15 and Dirty Dozen often when I go shopping. Your tips for "How to stick with a fitness routine" are good but right before "Measure your progress" you should add "Write down a realistic, measurable goal." If you post that on the refrigerator or tape it to your TV remote, you're much more likely to stick with a fitness routine. Great suggestion, Pawpaw. Thanks for sharing it.